Span-8 system is configured with an orbital shaker to enable rapid mixing of paramagnetic particles utilized in paramagnetic purification protocols. 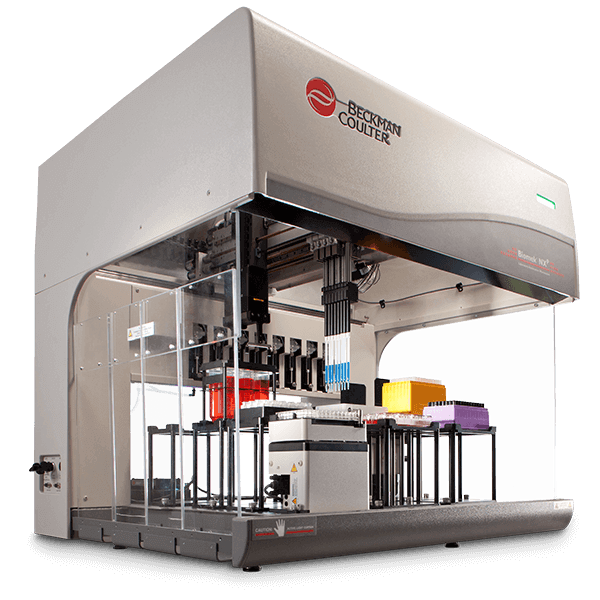 Reliable, repeatable pipetting, tube-to-plate capability and efficient automation combine to provide the ideal automation solution for this routine process while fitting seamlessly into the workflow of any lab. Low-volume capability helps miniaturize reaction setups and save on costly reagents.